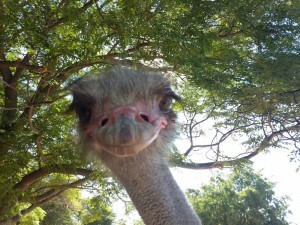 When ostriches look at you it is hard to not see their eyes as they are so big and beautiful. 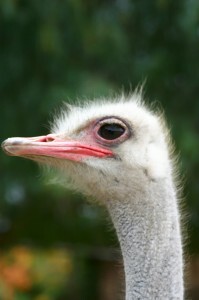 As ostriches are the largest birds in the world they have the largest eyes of any bird in the world. Measuring at 5 centimetres in diameter from front to back, the ostrich eye is five times bigger than the human eye and any other land animal. They have long eyelashes to prevent sand entering and when they close their eyes the lower lid moves upwards. There is also a nictitating membrane inside, moving like a windscreen wiper, to keep the eye clean and moist. Ostriches are dependent on their eyesight to spot predators, like lions, quickly. During daytime they can identify moving objects, the size of for an adult dog for example like a Labrador, up to 3.5 km far and at night 50 metres. Standing more than 2 metres tall and with their acute eyesight ostriches have an excellent view over the grassland and bush. With their long legs and light bone structure they can escape quickly from predators, running up to 80 km per hour. Interestingly enough ostriches can see colour. During the breeding season the males develop a red colour on their beaks and shins which will attract the females. 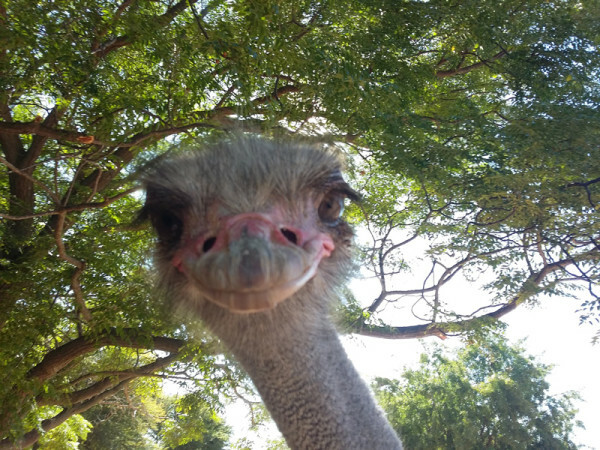 Nothing escapes the eye of an ostrich and that makes them also very inquisitive. 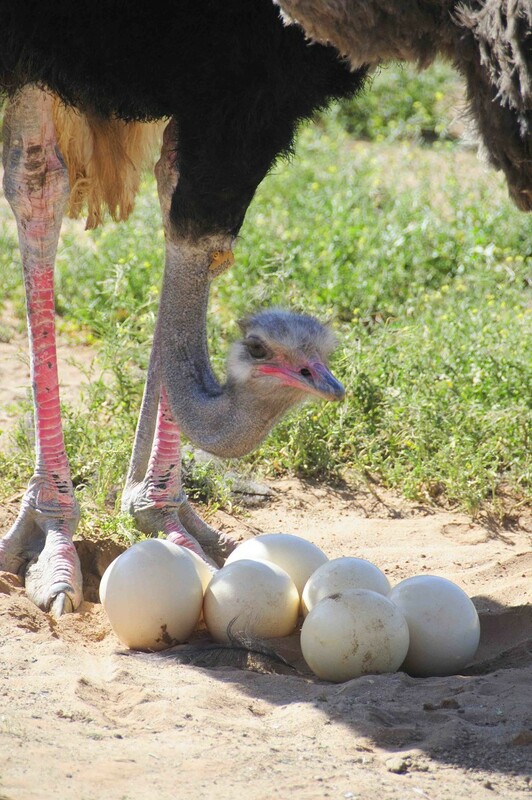 PreviousPrevious post:The Ostrich Industry – the lifeblood of the Klein KarooNextNext post:Ostriches can turn on their Predators! Do ostriches bury their head in the sand?